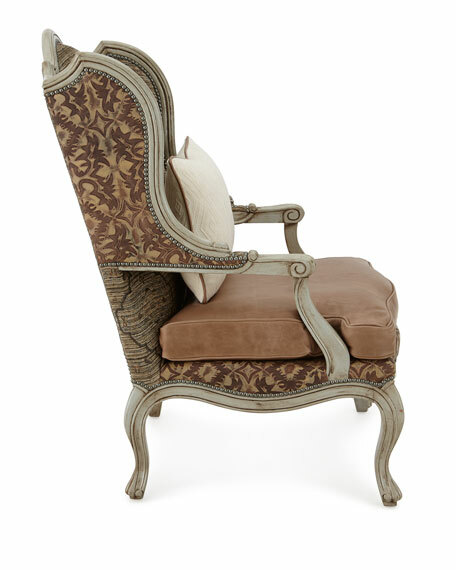 Upholstered in leather and rayon/polyester/cotton blend fabric. 22"W x 24'D x 49"T. Seat, 20"T; arms, 27"T.
Boxed weight, approximately 80 lbs. 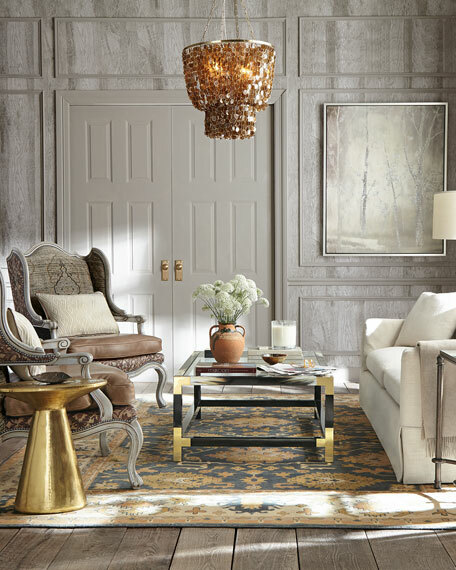 Company president Chuck Massoud's father combined his entrepreneurial spirit with loans from three friends to start Massoud Furniture in 1963. 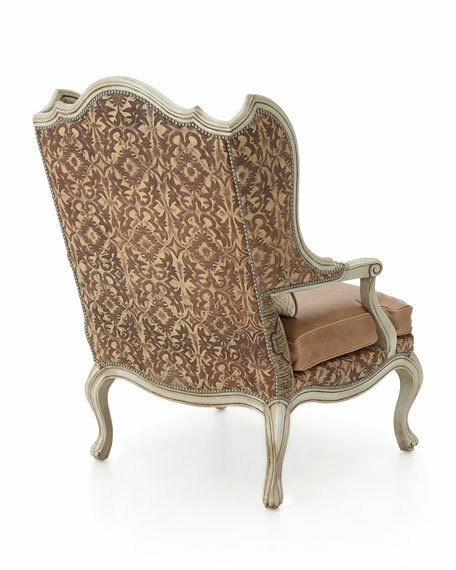 Since then, the Massoud family has been crafting its distinctive brand of custom seating. 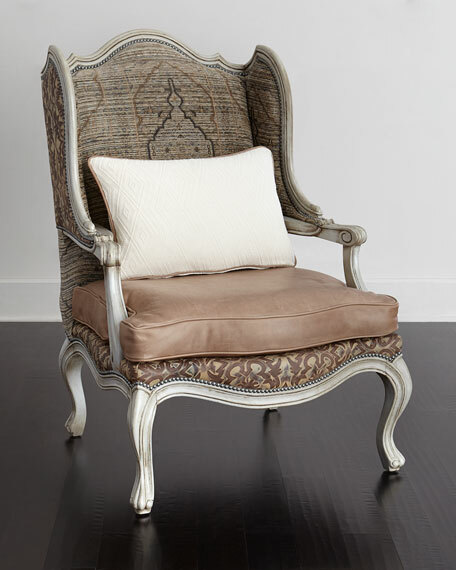 Massoud is credited for putting pitch in their wing chairsleaning them back slightly makes them so much more comfortable than the classic wing chair with a straight back. 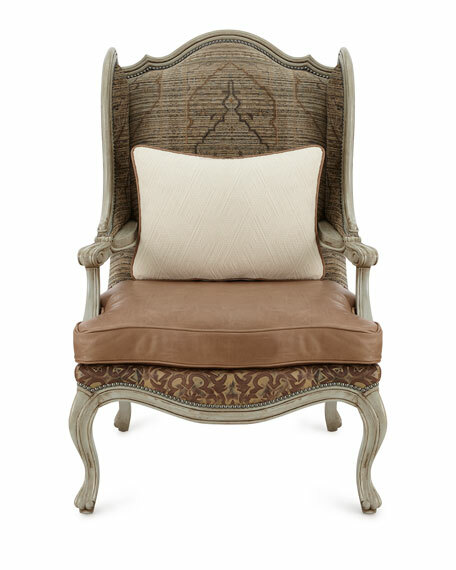 All Massoud furniture features kiln-dried hardwood frames and the finest leathers and fabrics available. They also employ multiple support rails, reinforced corner blocks, mortise-and-tenon joinery, and suspended coil systems for comfort and quality craftsmanship that lasts a lifetime.